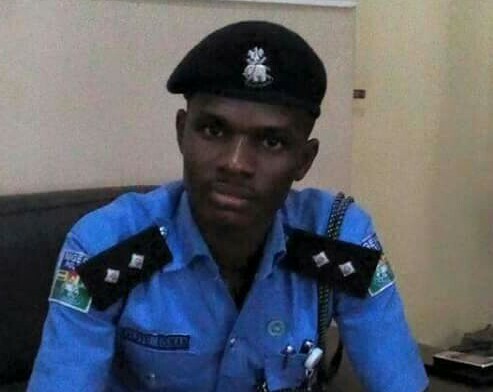 Following the recent massive promotion in Nigerian Police Force, Kaduna Command that elevated 12 ASPs to the new rank of SP including its Spokesperson, Zubairu Abubakar, the New Mouthpiece for the command has emerged. He is ASP Aliyu Usman. ASP Aliyu, who visited members of Nigeria Union of Journalists, Kaduna Council, on Monday sought a better working relations with media as partners in curbing crimes in the Society. He pleaded with media to avoid reporting unverified crime news, saying “please verify all your report before pushing it to the public, “don’t report negative things about us, we are all human and are bound to make mistakes. “Cooperate with us like the way you cooperated with my immediate past PPRO so that we can collectively make Kaduna a better and saver state for all of us. “Guide me where ever I go wrong, my office is opened for you feel free to come or call me. I hope you will give cooperation I expect much cooperation from you please. The out going PPRO, SP Zubairu Abubakar said, “I must confessed that I thanked God with the cooperation you gave me during my tenure. I thank God with the people I worked with and I hope you will give my successor all the cooperation you gave me. Responding, Council’s Chairman, Comrade Muhammmad Garba, reiterated the commitment of Nigerian media in supporting courses aimed at promoting the country’s Armed Forces for the benefit of all, quickly added that media is doing everything possible to have a better and improved Kaduna State.